If we’re talking about cars, we can talk cars…or we can talk Ferrari’s, Bugatti’s and Aston Martins. The same about makeup: we can talk about makeup or we can talk about Makeup. The powder that I am going to talk to you today is Powder. 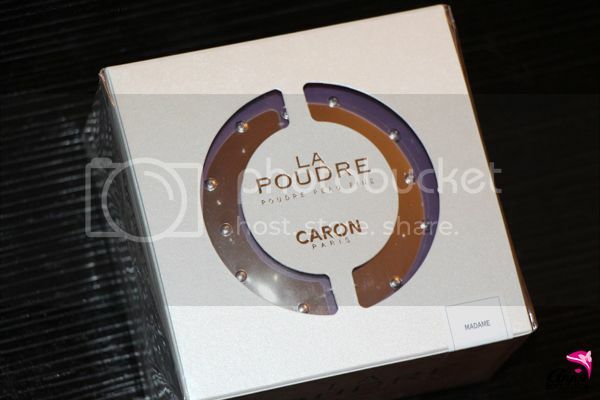 With a big P. The queen of all loose powders: Caron La Poudre Peau Fine. 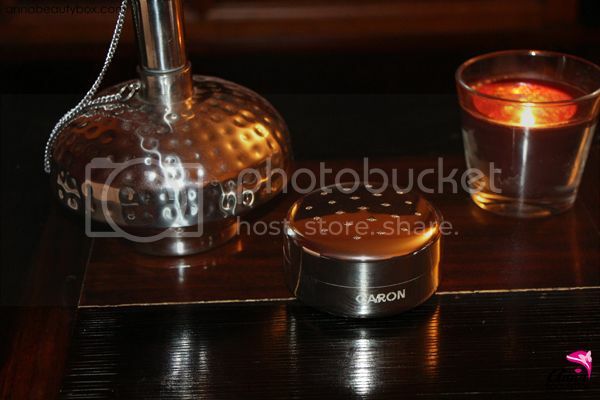 Caron is a brand that is mostly known because of its chic perfumes. 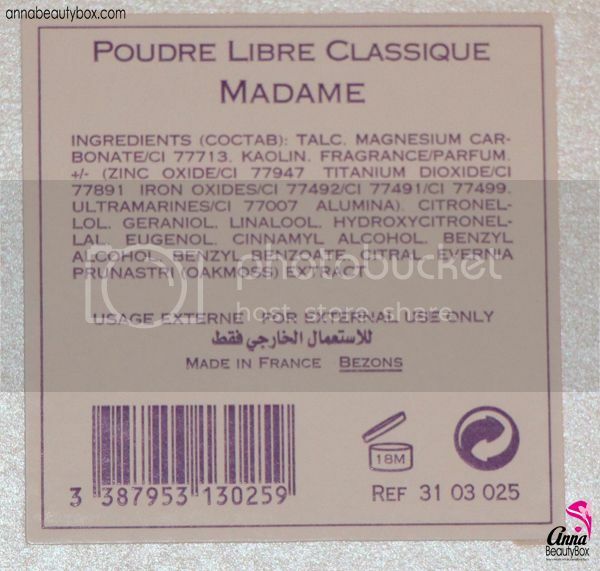 The brand was started as fragrance brand in 1904 in Paris (as all the best brands, haha!) and got popular very quickly. The products scream ‘expensive’ in all the ways: from the notes choice up to the jewel-like packaging. When I’m just looking at the box of this powder, I already love it! Les Transparentes, for normal and dry skin, natural finish (more like a finishing touch). 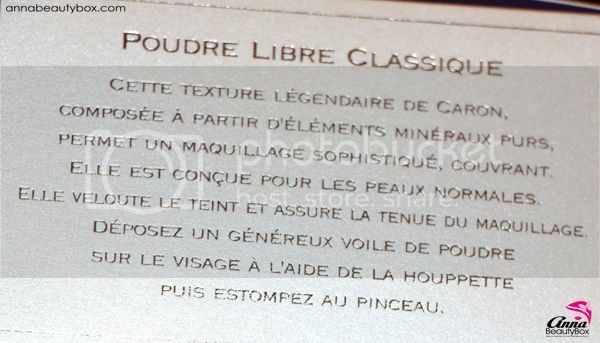 As my skin is combination to oily, I went for a loose powder from Les Classiques range. Besides, I like powder that give full coverage: that way I can apply a powder as a foundation, which will make my makeup lighter and more natural than wearing a foundation and a powder on top. 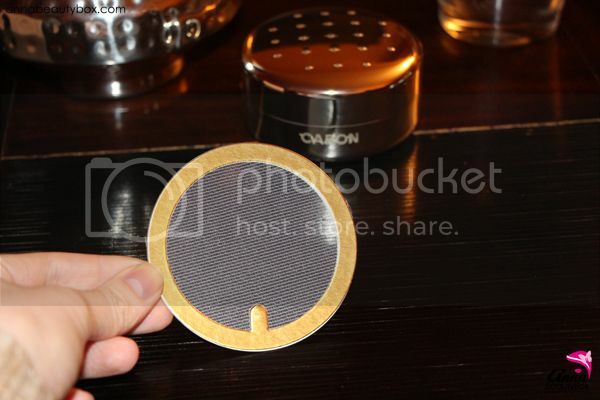 It really is a jewel…it has a size of a standard loose powder, there is 30 grams of product in it. The box is metal with round dots on top. It looks very classy! Caron’s perfume creators share a passion for roses. You can tell that as soon as you open the box: you smell roses! Not the fresh ones unfortunately, so I have to fight this smell every time I want to use this powder, haha. Inside of the packaging there is a huge puff. It’s really the biggest one I’ve ever seen! 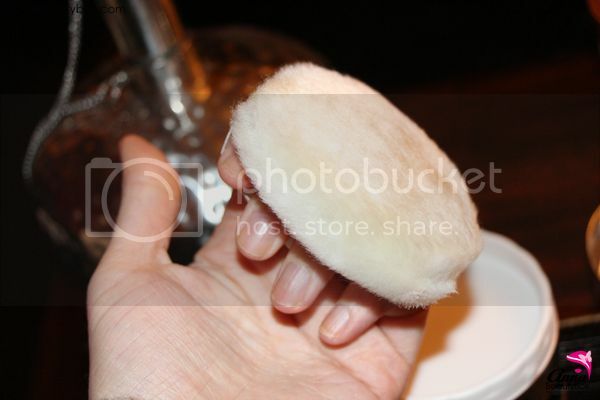 The puff is very soft and thick. The powder itself is protected. As it has very fine particles, it has to be: otherwise it would be risking be all over the box. Also in the box is this small net that you have to insert into the box. This is pretty handy and different from the other loose packaging that I’ve seen where the powder just comes out of holes. This is much more vintage and classy! Despite that I love the packaging a lot, it has not proven to be very handy. The powder’s strongest point (that it’s very fine) is also its down point. The first time I applied it with a puff I went crazy as I have a black table and I found myself literally in a cloud of rose-smelling powder, which then set on my table. The puff makes it go everywhere and I hate it for that! So I much prefer applying it with a brush. Once you get used to that, the process goes smoothly but you have to get it under the knee to avoid being powdered off completely, expect just powdering your face. 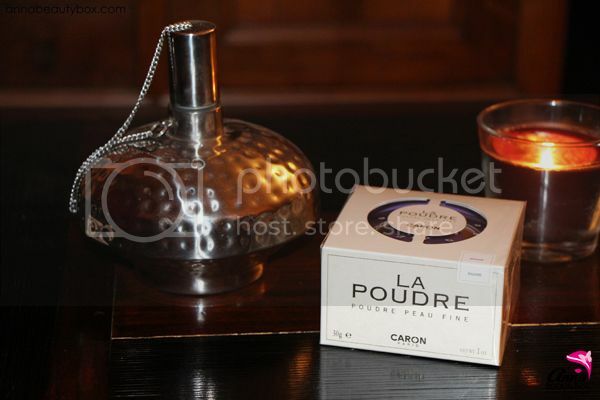 Caron La Poudre Peau Fine Les Classiques Madame. It’s not as light as it looks on the finger, it settles down on skin and looks a couple of shades darker than it looks on my finger. Madame is a very light pink-based cool beige. The texture truly is amazing. It’s very fine, silky, smooth and soft. 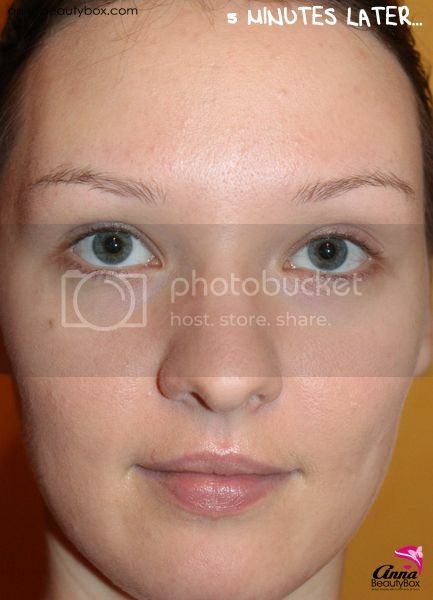 Right after application it looks like a very good powder. 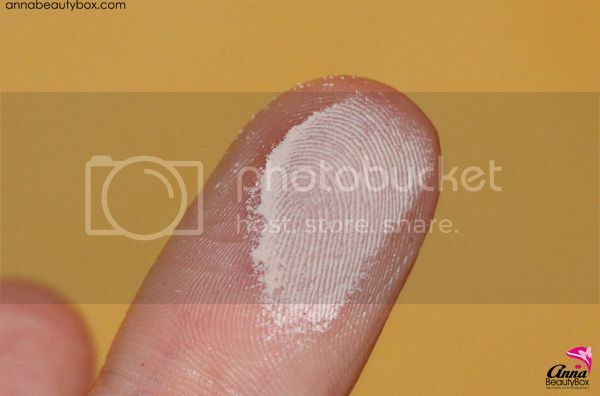 It does look like powder though, you can definitely see it on your face. 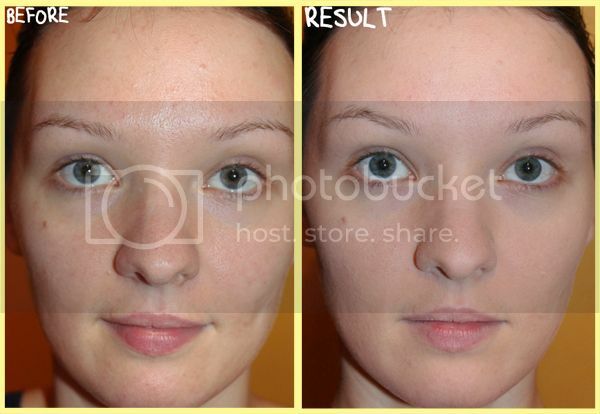 You have to wait for about 5 minutes, then it will settle down and you will see the real effect coming out…your skin will look fresh, glowy, silky, expensive, photoshopped…just perfect! 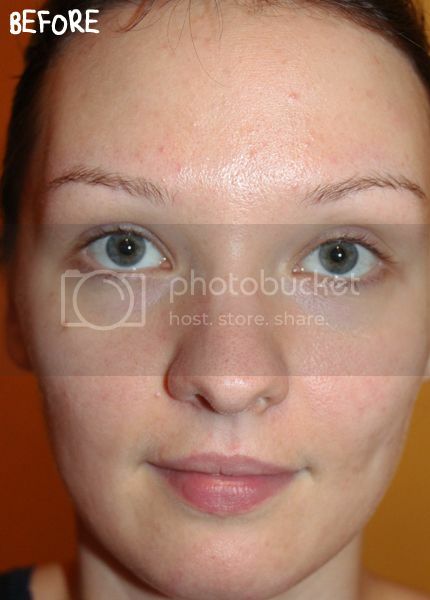 It erases all the pores and minor imperfections (you will have to use concealer for something bigger though). Your face will be so smooth, it doesn’t dry it out at all and that’s really important to me as my skin is not only combination but also very sensitive. Due to the pink undertone it looks fresh and young. I just can’t stop looking myself in the mirror; I look so damn good haha! I love it. I love the coverage that it gives: it’s just enough to be able to use it on its own, while not letting your makeup look cakey or scream that you’re wearing makeup. I love the finish that it gives: the photoshopped satin, like I’ve slept for 9 hours, ate only healthy food for at least a month and just came back from a long walk in a rainy forest. There are two minor disadvantages though. First, I hate the smell. I hate roses in fragrances, and this powder smells like a rose that your grandmother kept from her first admirer at school between the rose-fragranced pages of her diary…it smells heavy and old, not the rose fragrance that I like! Also, if your skin is oily, this powder might give you too much glow. This powder is for normal to combination skin, not for oily ones. 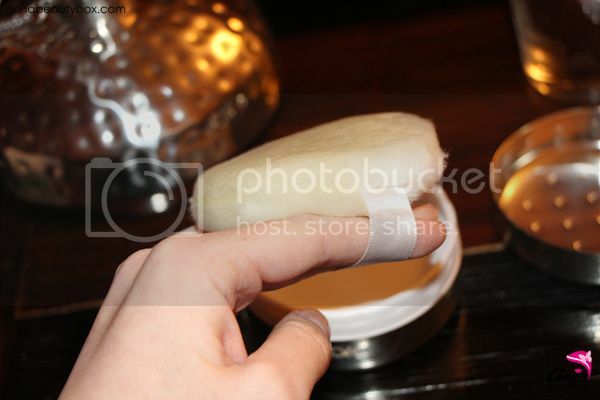 I think it will be also good for dry skin though. 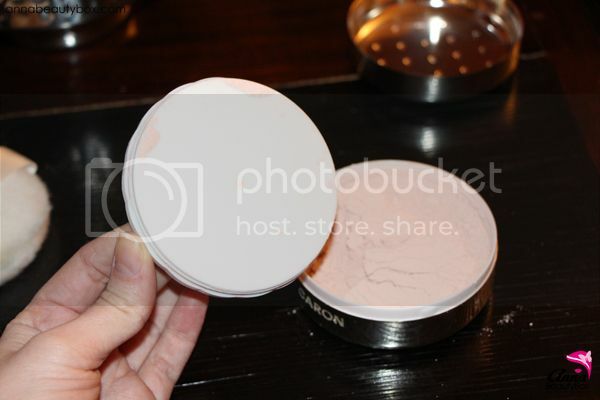 Summing this story up…this powder is the best loose powder I’ve ever tried! My notes: Packaging and design: 5-/5, Texture: 5/5, Finish: 5/5, Wearability: 5/5. In Paris you can buy it at Les Galeries Lafayettes and Le Printemps. Or if you’re in another city, you can get it at Nocibé, this is a French Sephora-like shop. This is where I bought mine! 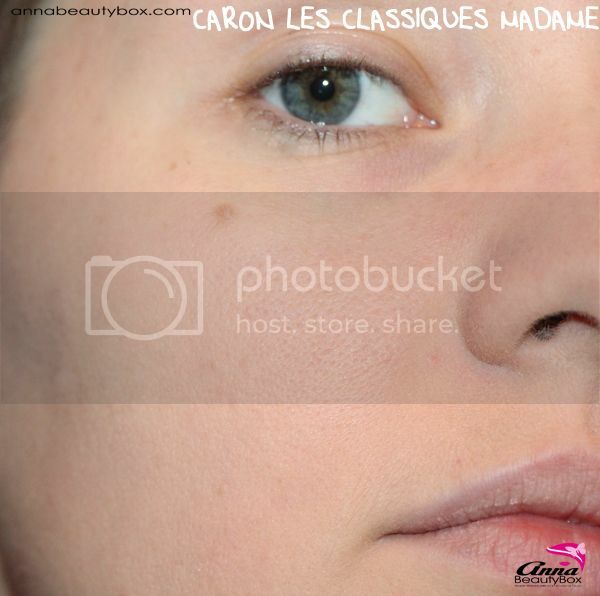 Here I just applied Caron La Poudre Peau Fine Les Classiques in Madame. 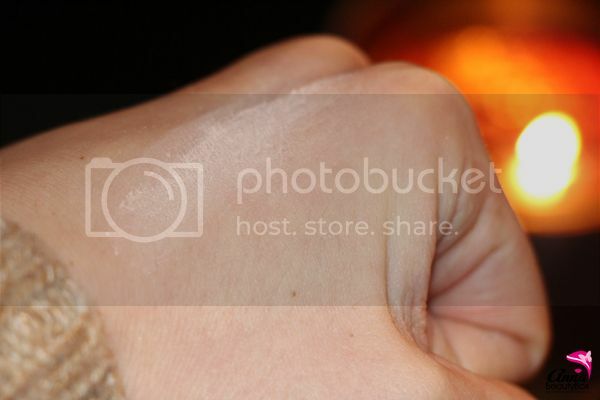 It looks like my skin is pink, and it is. The powder is pink-based but don’t worry, it will settle down and this will go away. Even now I like how my skin looks like: so fresh! This is a macro picture. 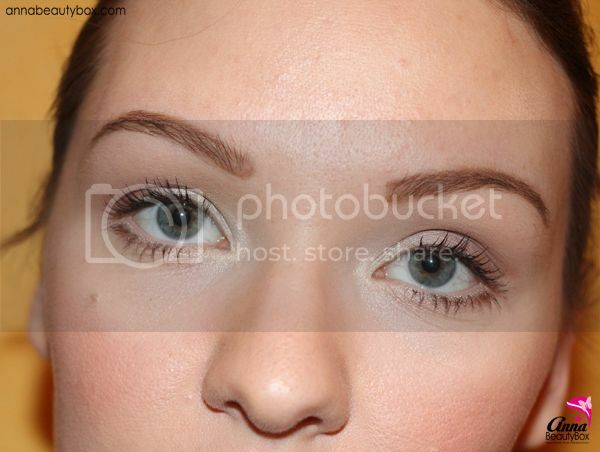 You can still see my pores and the texture of the skin, so it looks real and not like you’ve used tons of makeup. But at the same time, the pores are covered well enough to be invisible if you’ll looking at me from the ‘normal’ distance, haha. This picture is taken from another angle and a bigger distance. As I said, the best thing happens after you’ve waited around 5 minutes after the application. Look at the glow that comes out! And here is my with ‘the rest of the face on’. 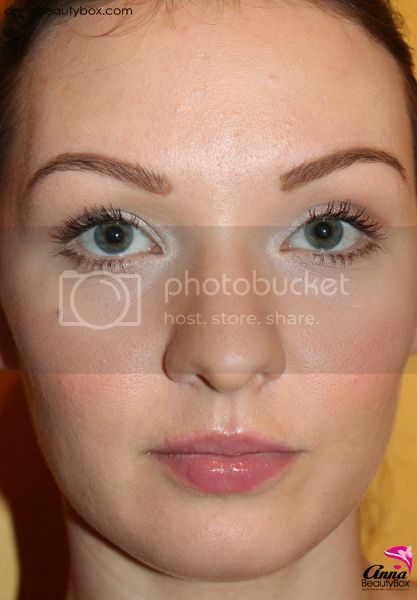 I love the result so much, the way my skin looks, the finish, everything! And see, it doesn’t look this pink anymore! Here’s a closer look! I’m also wearing La Prairie concealer, Anastasia brow powder, Catrice mascara, make up for ever aqua shadow pencil in 20E, 22E and 32E and Guerlain Crazy Pearls as blush. I love the result! 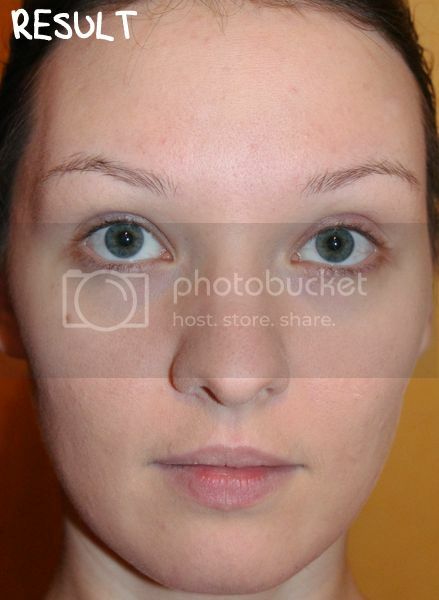 I took this picture about 2 hours after the application, as you can see the powder’s still there! It’s pretty long-lasting, I can wear it easily for 8 hours without any touch-ups. 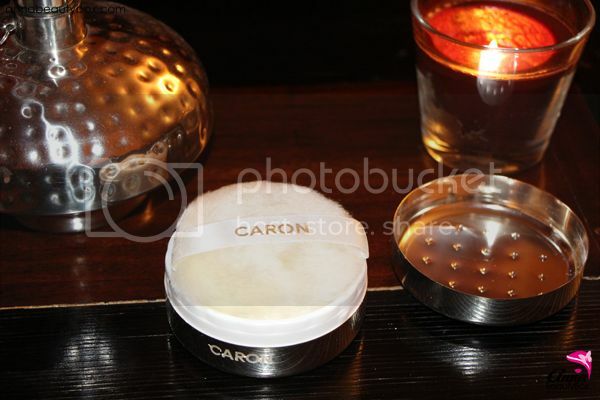 Have you tried any Caron powders? Next post Video: Products I Regret Buying! Previous post Christmas FOTD & OOTD! Me too! If only it smelled less like roses haha I would love it even more!! !